The form that either fills you with joy and expression or elicits complete dread when mentioned. This workshop will unpack and explore the two schools of thought on how to execute a Harold: iO Chicago style versus UCB style. We’ll focus on how this form can be customized instead of being a rigid chore, and you’ll leave completely full of joy and expression. Saurabh Pande moved from the hot streets of Houston to the icy streets of Chicago to conquer live comedy. Now he resides in sunny LA for the hiking and avocado, playing with musical group Baby Wants Candy. 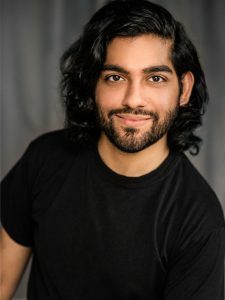 He is an alumni of The Second City National touring company and plays regularly with the critically acclaimed Improvised Shakespeare Company. He made his broadcast Television debut in Season 2 of NBC’s Chicago Med. He is currently in production on the independent South Asian series Code-Switched. $35 / 2.5 hours / Limited Space **Class held at The Hideout Theatre – 617 Congress Ave.